Create security system on your PC. Monitor up to 64 IP cameras. Record video from your IP cameras. office when you are away. Program for IP video surveillance. View video stream from your IP cameras. Supports 1200+ models of IP cameras. Easy setup and operation. Video recording and surveillance software. 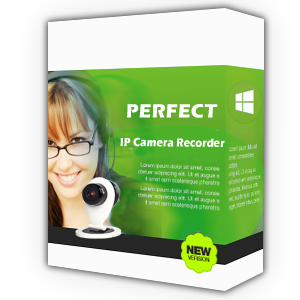 Record video and make snapshots from your IP cameras. Run scheduled or instant recordings. Use your USB or integrated webcam as a surveillance camera. Motion detection, video recording. 03/23/2019 - Webcam Monitor 4.6 released. 11/28/2018 - IP Camera Viewer 4.5 released. Perfect Surveillance Software is a small team of professionals in programming and video monitoring. We develop and sell quality security camera software for wide audience of users. 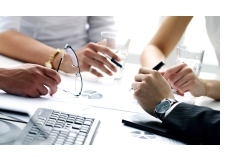 Our solutions have helped thousands of people to take their security one step further. Perfect IP Camera Viewer, Perfect IP Camera Recorder and Perfect Webcam Monitor are our main video surveillance software. They allow you to create professional video surveillance system on your computer in minutes. Almost any model of IP cameras and virutually all webcams are supported. We work hard to keed our database of IP cameras up-to-date, by this our software favorably differ from competitors. Ease of use is another principal characteristic of our products. You do not need special knowledge in the field of video surveillance in order to start using our programs. They just work. Check it out by downloading our ip camera software for free! If you have some questions regarding our software, ot just some thoughts on how to make our products better, we will be happy to hear from you. Contact us anytime using this form.